Well, summer’s lease is nearly over, and despite our wish that it could linger just a bit longer, school days will shortly be upon us! So, to give us all a boost (myself included), I am hosting a “Back to School” Literature Soirée on Saturday, September 8. I will cover more literary analysis, but this time we will look at how to analyze historical literature within the context of the heroic quest. 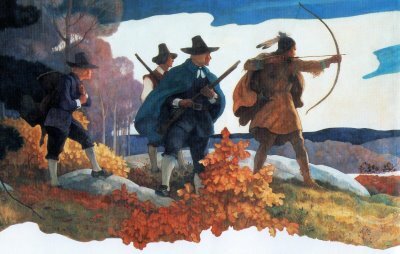 This will be a fun adventure as we consider how the heroes and heroines of the eras of exploration, discovery, and colonization provide examples of heroic archetypes fulfilling their own unique destinies. 11:30 am-noon: Analyzing historical literature using the elements of the heroic quest (definition and overview), anthropomorphism, the orphaned child literary trope, and others! (not to worry, I will clearly define all of these before setting you out on your own). Cost: $30 (which will include lunch– please email me if you need gluten free or vegetarian) You can register here. Finally, this soiree is already half booked with ladies returning from our summer session. So please register soon, to insure you have a place! Rea to speak at the Great Homeschool Convention! 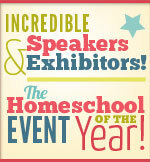 Many of you are aware that in May, the Great Homeschool Convention is coming to California for the first time. These regional conventions are the “new kid on the block”, as far as home education events go, and around the country are successfully garnering great attendance, energy, and excitement! At this time in home schooling history, when the needs of families are more and more diverse, these larger regional events have managed to breath new life into homeschooling symposiums and have attracted big name speakers from a broad range of perspectives regarding education. They also offer a dynamic teen track and a children’s convention as well. All of these options add up to a breath of fresh air to us, and we are excited to be a part of this new event. I will be a featured speaker, and will be presenting twice in the course of the weekend, and of course, Beautiful Feet Books will be there to serve you with all of our products related to history, science, music and geography through literature. At the time of this posting, the topics and speaker schedule has not yet been finalized, but I will keep you informed as soon as that information is available. Here’s the info: The Great Homeschool Convention, May 24-26, 2012, Long Beach Convention Center, Long Beach, CA. Here is a direct link. We look forward to seeing you at this exciting new event, and do hope you’ll stop by our booth and say hello! Children’s books and the inspiration behind them . . .
Last Saturday I had the gratifying experience of meeting with 40 lovely ladies for a full day seminar discussing children’s books, education, literature, and history. Despite the fact that we had over six hours together delving into these absorbing subjects, as usual there simply wasn’t enough time to cover it all! So in response to some of the requests that emerged in our discussions, I’ll be posting over the next few days on some of these topics. First of all, and a topic I come to with a great deal of enthusiasm, is the “story behind the story” of many of the best children’s books. Honestly, the reason I come to this with such eagerness is that in this arena I happen to know one of the foremost authorities on children’s literature today! Her name is Anita Silvey and I had the delightful opportunity to sit under her while doing my graduate work in children’s literature at Simmons College in Boston. Since that time, Anita and I have maintained a warm friendship and I nev er miss a chance when visiting Boston to make a date with Anita. She is one of those people who brings out the best in everyone she knows, and just sitting discussing children’s literature with her for an hour over lunch is always inspiring, informative, and invigorating! I know if you were able to meet her you would feel exactly the same way! 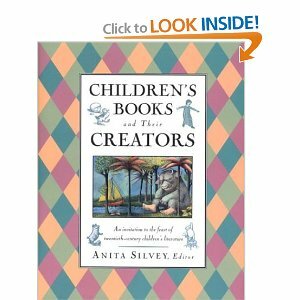 So here’s one of my secrets: Anita’s books on the history of children’s authors and illustrators! I posted last year about her book Everything I Needed to Know I Learned from a Children’s Book and you can access that here. A number of the stories I shared with you on Saturday–Robert Ballard, Jim Trelease, Andrew Wyeth, David McCullough, were adapted from this book. There are many, many, more on contemporary authors and the books that inspired them as children. I find these stories SO valuable because as mothers and educators we never really know which book or books may be the catalyst or inspiration to focus our child on their particular path in life. And of course, this points to the importance of Charlotte Mason’s notion of “abundant and orderly” serving of books. Now, if what you’re really looking for is the stories of the authors themselves, then Anita offers a number of really important resources. 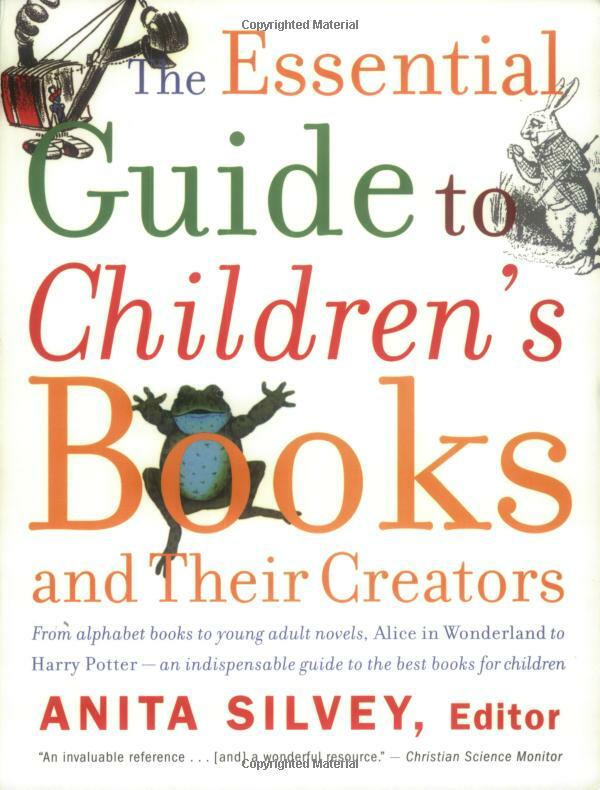 But to start, I would recommend one of two: Children’s Books and Their Creators and The Essential Guide to Children’s Books and their Creators. Hardly a month goes by for me that I am not pulling one or the other of these off my shelf to reference. 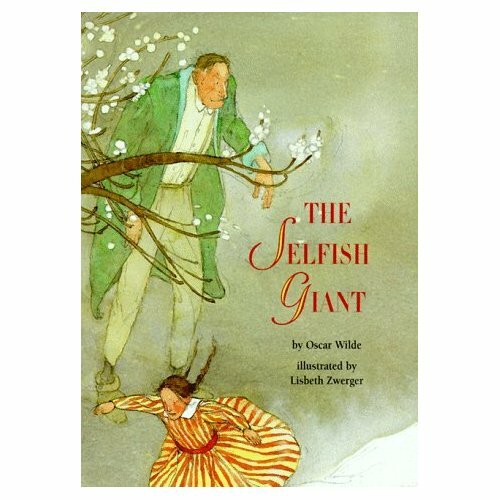 The first title is over 800 pages and contains about that many entries related to children’s authors, genres of children’s literature, historical and cultural forces as formative to various genres, and personal perspectives from the authors themselves. The Essential Guide offers many of the same components (and indeed carries over into this paperback edition much of the same material) but arranged alphabetically from Aesop to Zwerger (you may remember that name as Zwerger is the remarkable illustrator of the edition of The Selfish Giant that we looked at in the literary analysis component of our day). So for the really ambitious I would recommend the first title, and for those that want a slightly simpler more condensed (albeit still 500 some pages!) version I would select The Essential Guide. This is a great place to start. I have many more guides to children’s literature that I will feature later, but this is a wonderful place to start! Orange County Literature Seminar deadline extended! The Orange County Literature Seminar is just around the corner! I am extending the deadline for the discounted rate until tomorrow night at midnight! So you can still register here. Also, for those of you that are already registered, please be thinking of a favorite children’s book you’d like to share during our working lunch! I’ll also be emailing you with specific details by Thursday so be looking for that to come through your regular email. Can’t wait to spend this time with you! We have two winners for a free pass to the Orange County seminar coming up on October 16th! Congratulations to Paula Noll and Trisha Regehr! If you aren’t able to come to the seminar, or if you’ve already registered, you can use your winning towards $30 worth of purchases to Beautiful Feet Books! You can print a copy of this post to verify your winnings and/or bring it to the seminar if you’d like to shop there. We will be bringing a selection of books for purchase at the end of the day. If you’ve won a free pass and are planning to come please do register here so we can have a packet for you at the seminar. Call the 1.800.889.1978 number so the office can comp your registration. Or, if you entered the drawing but don’t live in the area you can apply your winnings towards any online purchase at Beautiful Feet Books before December 31, 2010. Thanks to all who participated and we will be continuing to hold drawings for free books, CDs and other items, so stay tuned! Today is the final day to enter your name into a drawing for a free pass to the Orange County Seminar coming up on October 16th! If you’ve subscribed to this blog but don’t know if your name has been entered for the drawing be sure to post a comment here and I will check and make sure your name (email address) is included. The deadline to enter your name is tonight by midnight. I will post the winners tomorrow morning. So far I will be giving away 2 free passes, but if I get 10 more subscriptions to the blog today, I will add in another free pass. Also, if you’ve recommended a friend subscribe, and they have, your name will be entered into the drawing again. Just check with me to make sure I’ve got your name (and your friend’s) in the hat! So here’s the information on the seminar again. If you have already registered for the seminar, your can use your winning ($30 value) toward books at Beautiful Feet! Hope to see you there! Also, if your DH (darling husband) would like to attend, they can do so free with your registration! Time: 9am-3pm ( pre-registration due by Oct 7 ) There will be an hour long working lunch break where we will do literary analysis together. 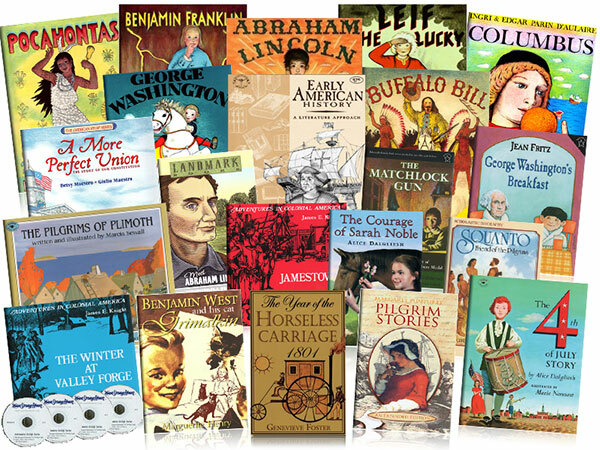 Objective: Provide Parent/Teacher training for the use of classical and historical literature in education, for family read-aloud time, and for pure enjoyment! To register go here. Hope to see you there! For reviews of my recent seminar in San Luis Obispo, visit here.